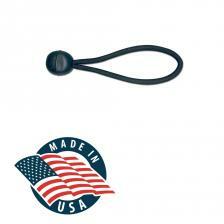 Custom-sized baseball impact hitting nets are produced per-order according to your own preferred dimensions. 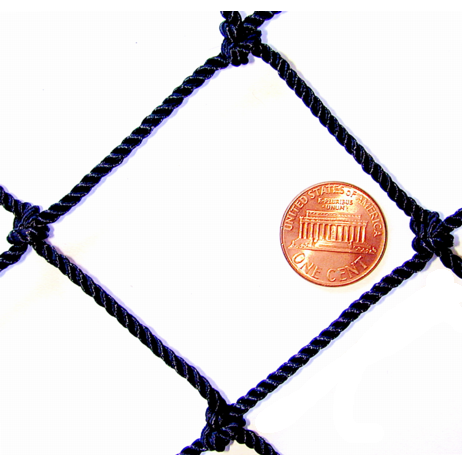 We offer heavy-duty baseball impact nets built from the highest quality #36 X 1-3/4” and #72 X 1-3/4” DuPont type 66-728 twisted-knotted nylon netting. 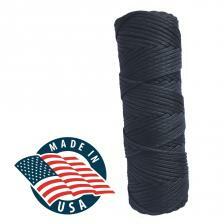 These 100% Made-in-USA nets are available to be produced to your own custom netting size, or are readily available in a 12’ high X 12’ wide netting area. 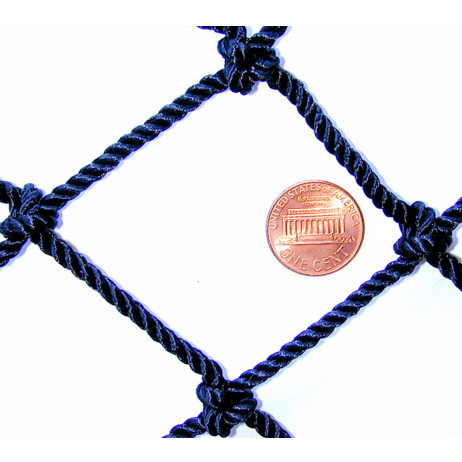 The basic construction features diamond mesh baseball netting with a top-rope installed (with 3’ rope tails), and the full-finished version features rope bordering on the top and sides, with a heavy-rope (leadline) bottom edge. 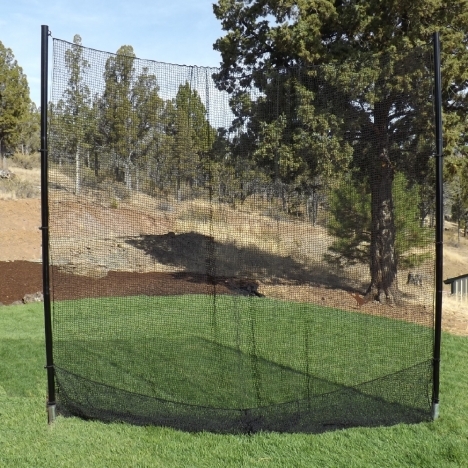 Baseball impact nets are netting panels that can block direct, full-velocity baseball and softball hits from a close range batting distance. 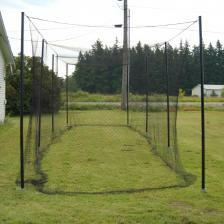 Baseball hitting nets for batting practice and training are generally hung in a looser fashion with some slack mesh within the area, to allow for batted balls to displace the netting and drop to the ground. Baseball impact nets can be installed in a variety of methods in both outdoor and indoor golf training environments. For instance, between poles or trees, within a framing structure, from wires or cables, under hooks and rafters, within garage doors, or most any other suitable batting and pitching practice area. No complaints. 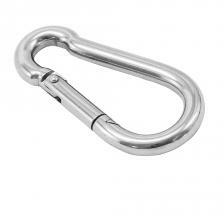 Great craftsmanship and quality. Was put to the test as soon as it came out of the box. Very satisfied.